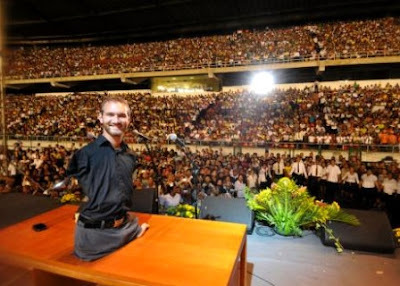 Nicholas Vujicic came into the world in 1982 in Brisbane with neither arms nor legs. His parents were devastated when they saw their first born new baby for the first time. They worried about their son how he could make his way through life with such a massive disability. 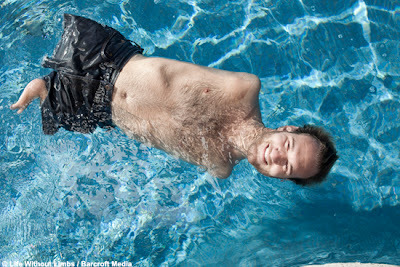 Imagine being born without arms and legs, how he could live a normal happy life. 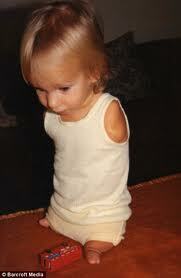 He just no ability to dance, to run, to hold, to feel with his fingertips or even to hug his loved ones. What a tragic! 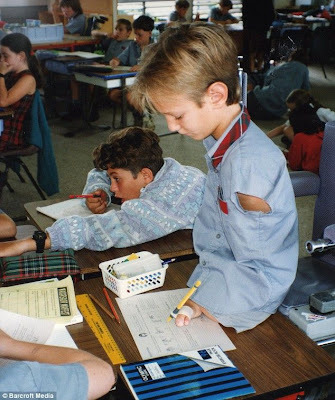 Throughout his childhood, he constantly questioned why he was different than all the other kids surrounding him; why he was the one born without legs and arms. He struggled with loneliness and depression. He wondered what the purpose behind his life was. He then started to realize how God loved him so much in the past and gave him a vision to be a motivational speaker to encourage multitude of people in a religious and moving way. Nick said, " I found the purpose of my existence and also the purpose of my circumstance". A visitor at a school for the disabled was writing questions on the board for the children. Soon he wrote this sentence: " Why has God made me able to walk, hear and speak and made you disabled?" The shocking sentence hit the children like a cruel slap on the face. They sat paralyzed, pondering the dreadful word "Why?" And then a little girl arose. "Yes, God Father, for this was your good pleasure"
:')) almost cry reading ur post. he's a very brave man. i love the last one girl.